Propane gas is a by-product of petroleum refining and natural gas production. It has no color or smell, but an odor is added during production for safety purposes. This is so that if a leak does occur, you can smell it and are aware of the danger around you. Propane gas has a variety of uses from powering industrial units to fuelling automobiles. It also has many household uses, such as for heat or for cooking purposes. For home users, it can be a little complicated figuring out whether propane is a good or bad thing. To put it simply, it has its’ own advantages and disadvantages, just like many other products too. Let’s take a look at some of those now. One of the big advantages is that propane gas doesn’t take up much space compared to other types of fuel. Propane gas becomes a compressed liquid for storage purposes, so even a small bottle can actually provide quite a lot of fuel. Another advantage of being a compressed gas is that propane is highly portable. You can carry bottles around pretty much anywhere. For example, a canister the size of a 500ml water bottle can fuel an outdoor barbeque for hours. Just think of how much more wood or coal you would have to carry to fuel a barbeque for the same amount of time. In an emergency or power cut, the lack of electricity can render other fuel sources unusable. Even coal and weather can struggle in some weather conditions or can be more likely to burn out than gas. Gas is a steady, reliable fuel source which can resist weather conditions better than many other types of fuel. Gas also has no need for electricity or other sources of power/fuel to be usable – all you need is a spark to light it with. If you only require small amounts of propane it’s possible to use bottles and refill them. In this scenario, you still need a safe place to store any spare bottles though. Safety is a priority with fuel sources, you can’t let them get too hot or be exposed to excessive amounts of light or heat. You also have to ensure the gas is kept safe from any access by animals or critters, and likewise with children. For bigger storage purposes though, you will need to use propane tanks. 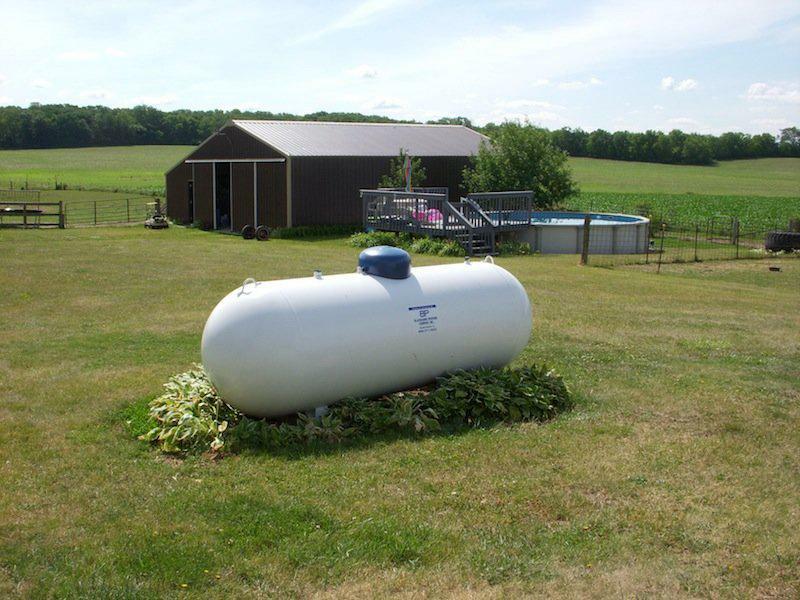 Propane tank installations can be above or below ground and are often provided by the same companies who provide the propane gas itself. Be sure to check the terms closely on whether the tanks will be owned or leased and what maintenance will be due, as well as whose responsibility the maintenance is. There are safety issues to consider with gas, such as ensuring any tanks are safely installed and well maintained. You will have to check regularly for leaks or other issues, and it’s best to carry out regular maintenance checks on any on-site tanks as well.